Chicago, Illinois—July 12, 2018. 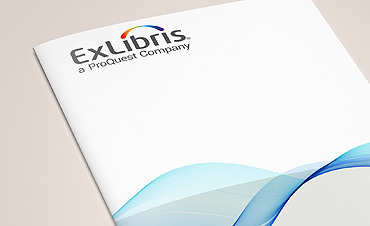 Ex Libris®, a ProQuest company, is pleased to announce that the Ontario Council of University Libraries (OCUL) has selected the Ex Libris Alma® library services platform and Ex Libris Primo® discovery and delivery solution. Thirteen OCUL libraries, including six ARL members, chose to move forward and participate in a collaborative purchase of the Alma and Primo solutions. Member libraries will be upgrading from the Ex Libris Voyager® integrated library system (ILS), as well as replacing other third-party integrated library systems. The Alma platform will also be replacing a variety of link resolver and ERM systems. The Primo discovery solution will replace the diverse range of discovery systems currently in use among the members to provide improved discoverability of resources across the institutions. Implementing Ex Libris Alma and Primo is a key component of OCUL’s Collaborative Futures strategy. The University of Windsor, an OCUL member, was the first in the consortium to purchase the Alma and Primo solutions, in 2013. 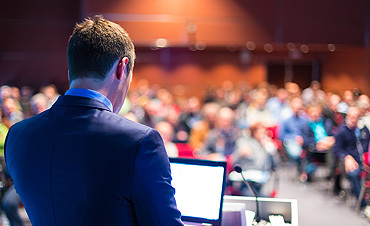 The 13 OCUL institutions that have recently opted for the Ex Libris solutions are York University (an ARL member), the University of Ottawa (ARL), Western University (ARL), the University of Waterloo (ARL), the University of Guelph (ARL), Queen’s University (ARL), Nipissing University, Brock University, Carleton University, Lakehead University, Trent University, the University of Ontario Institute of Technology, and Wilfrid Laurier University. It is anticipated that additional OCUL members will join the project in the future. The participating members have collections representing more than 18 million bibliographic records and serve over 340,000 students, staff, and faculty members. The Alma platform and Primo discovery solution will provide OCUL libraries with the opportunity to share data, collaborate more efficiently, and streamline workflows. In addition, to support data-driven decision-making, librarians will be able to generate cross-campus analytics for an effective review of system-wide sharing, collection development, and resource usage. As a unified resource management solution, the Alma platform aligns with OCUL’s goal to eliminate silos, redundant processes, and the duplication of data. The platform will be able to handle the size, scale, and diverse nature of the OCUL institutions and support a full range of collaborative services while also preserving institutional autonomy where necessary. The Primo consortium capabilities will enable each member library to optimize services; enhance the user experience; and maximize discoverability, resource sharing, and collaboration across the consortium. OCUL is a consortium of Ontario’s 21 university libraries that was established more than 50 years ago. The consortium enhances information services in Ontario and beyond through collective purchasing, a shared infrastructure for digital information, collaborative planning, advocacy, assessment, research, partnerships, communications, and professional development. For more information about OCUL, see https://ocul.on.ca/.